I came home from Costa Rica with a new passion for painting. Remembering that I had told Ellee we could repaint her room last year, I decided that it would be our project for the week. 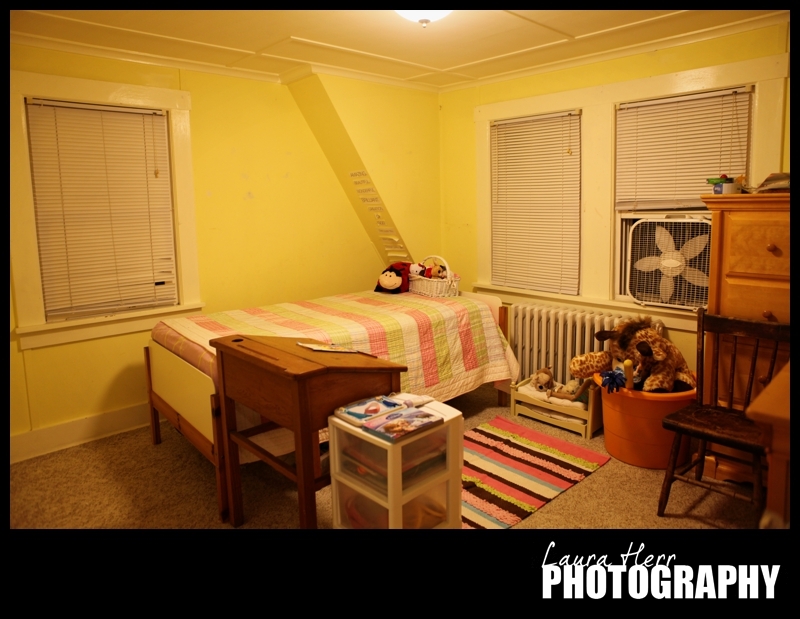 Ellee’s room has been yellow since we moved in, close to seven years ago. It’s worked well over the years. It’s complemented her many pink and purple decorations. It’s been a great room for her. 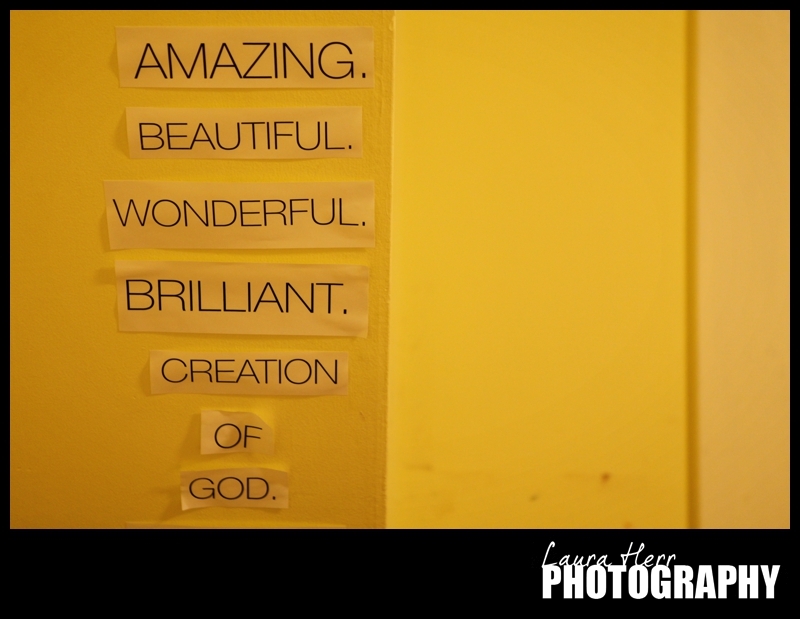 One of my favorite parts of her room was the wall where her Daddy posted this reminder about who she is. However, it’s been needing work for awhile now. As I mentioned before, there were over 20 some little hook holes that needed to be covered and spackled and it was incredibly fulfilling to finally get them taken care of. There was also quite a bit of prep work to do before we actually got painting. 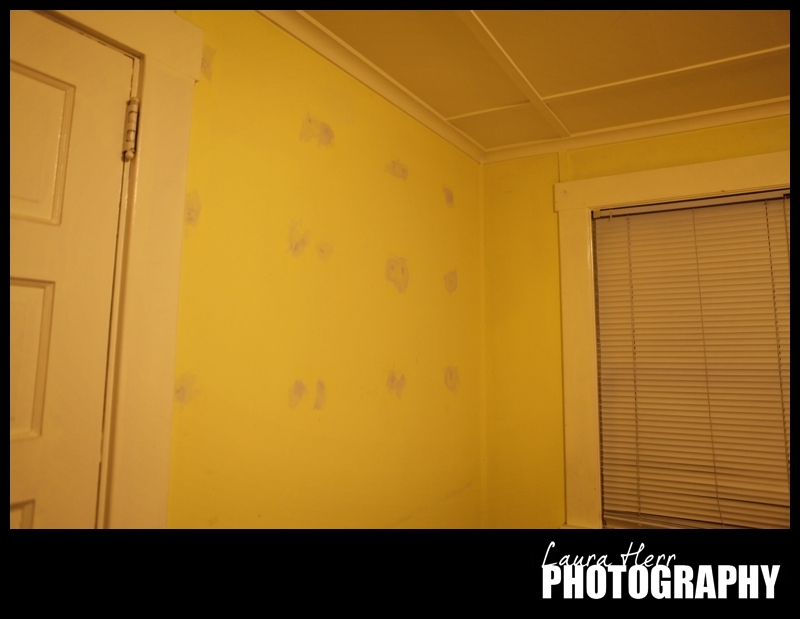 One job was to tape off all of the moulding around her room. It was a good two and a half hour project in itself. But I finally got it done and we were ready to go. 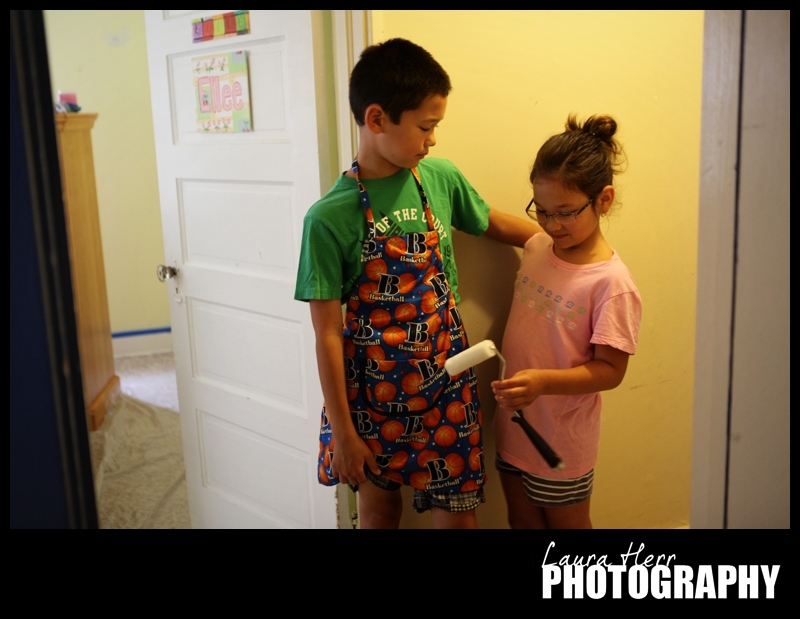 These two insisted on helping, and I let them. I’ll be honest, there are so many times in my parenting that I just want to do things myself. Because it’s easier and possibly better in some situations. But I do try to catch myself. I’m so thankful that our kids want to help out and know that I should take advantage of their willingness to serve. 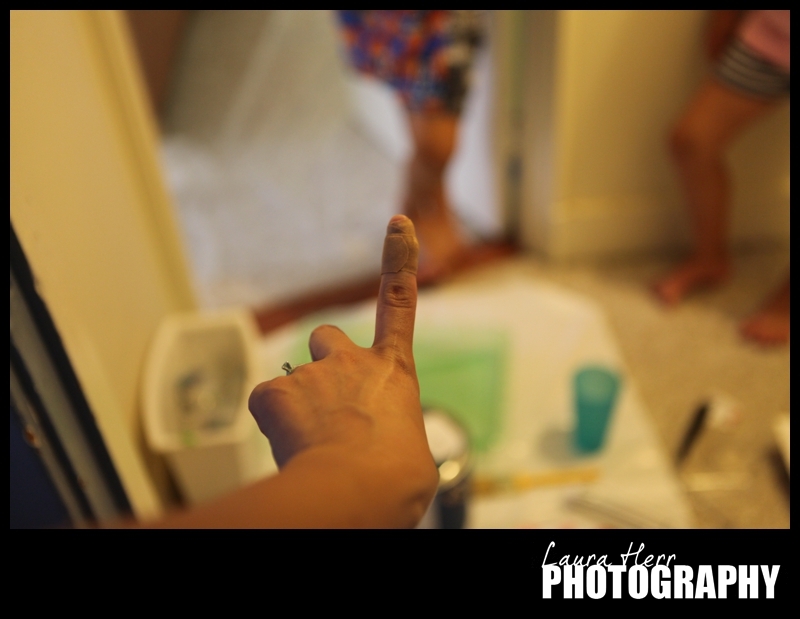 Oh, and it should be noted, that painting can be dangerous. I nicked my finger with the scraper that I was using while trying to open the paint can. It was a painful reminder that I should be careful. A few bandaids later, and I was good to go. After a slow start, we were good to go. And this little girl and her brother did an amazing job helping out. We found her a perfect sized roller and she was in her painting glory. It was so good to have their help. 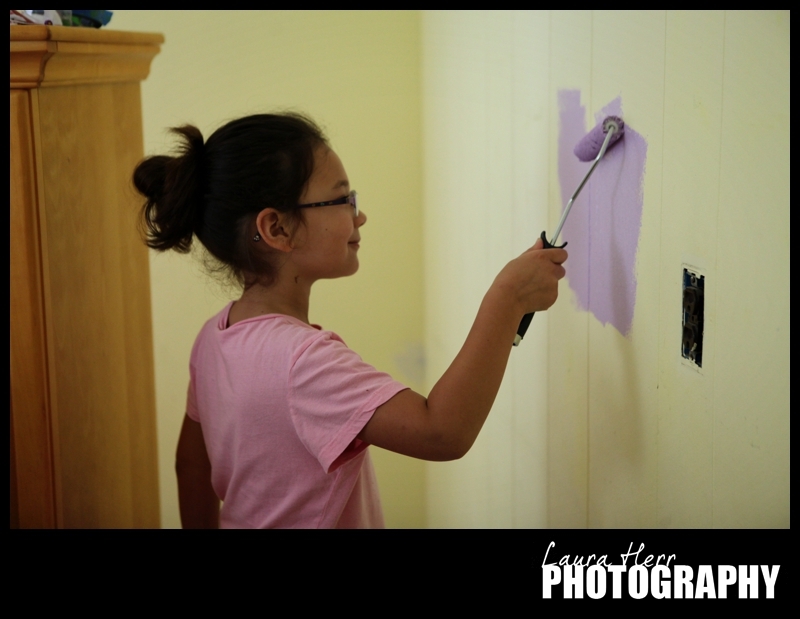 The kids helped to paint and cut in everything for the first coat. 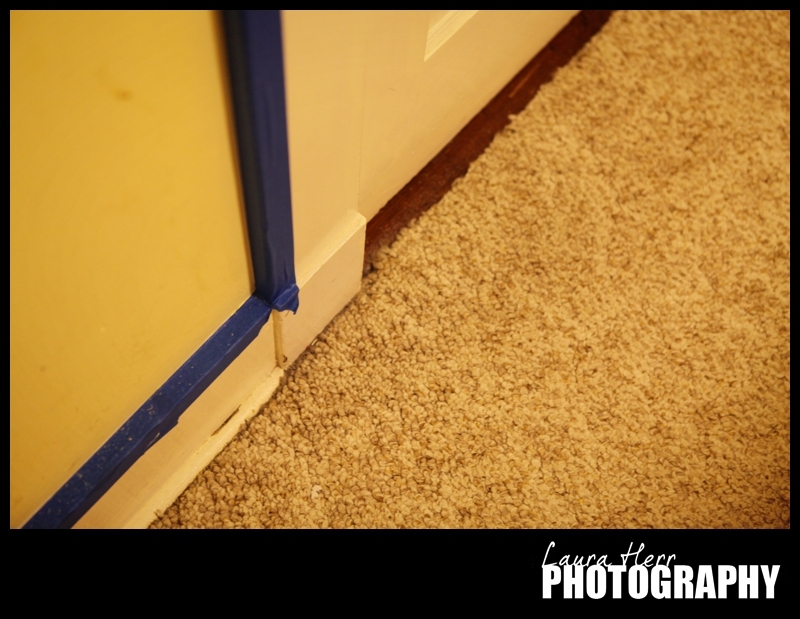 And later that night, I finished off the job with the second coat. And our results were spectacular. 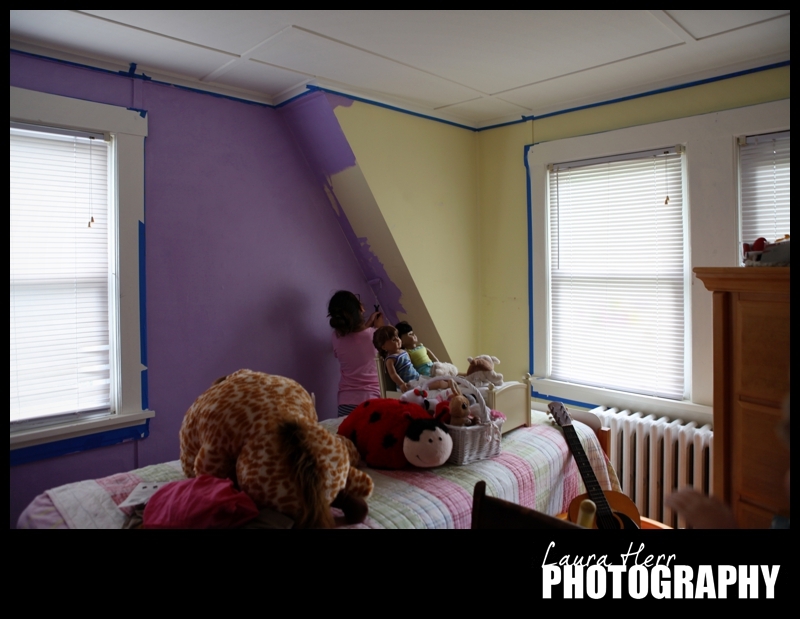 I realized that her white moulding didn’t stand out so much with the yellow, but when we painted on the purple, it really popped. I was so happy with how it all turned out. To be honest, it was a lot of work. But it was well worth it. 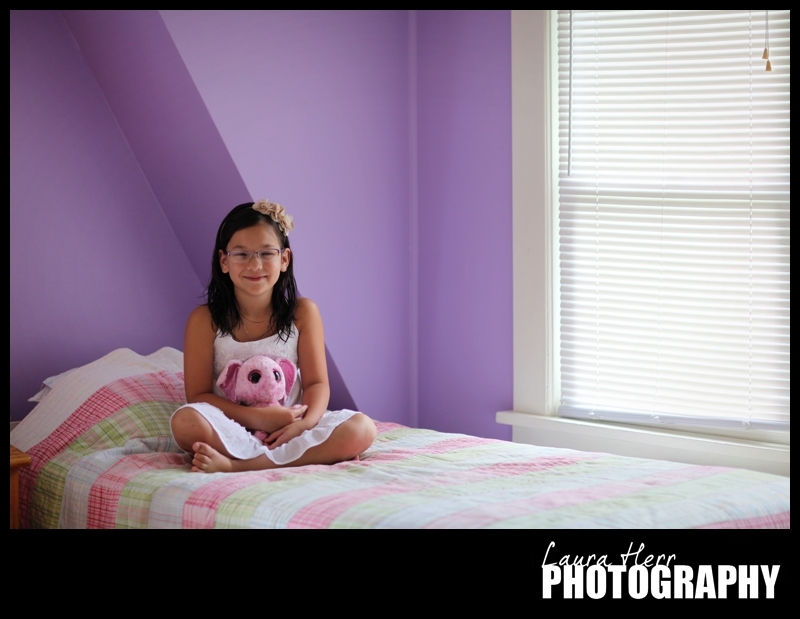 I’m hoping that this sweet girl will enjoy her room for years to come. It’s a perfect color for her sweet personality and we were all delighted with how it all turned out. LOVE! the color it looks amazing! 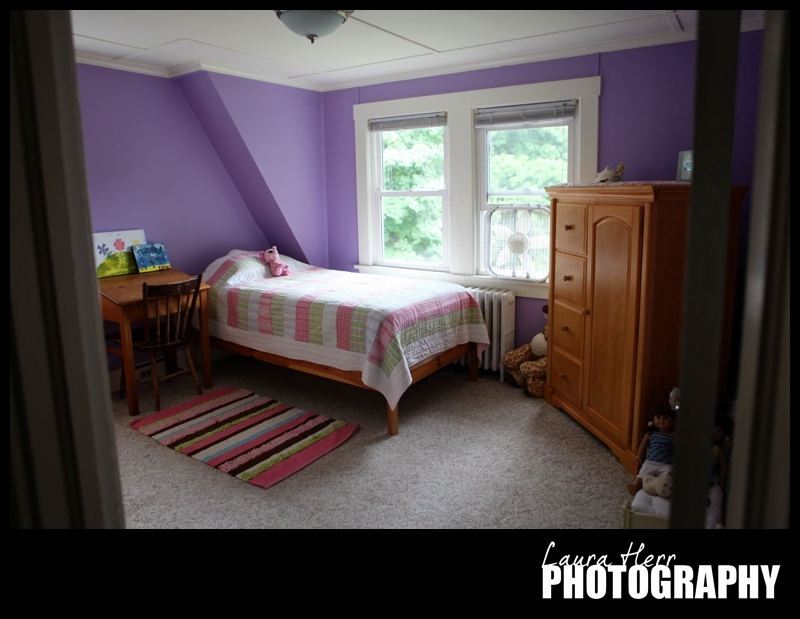 Anna would like a purple room now.